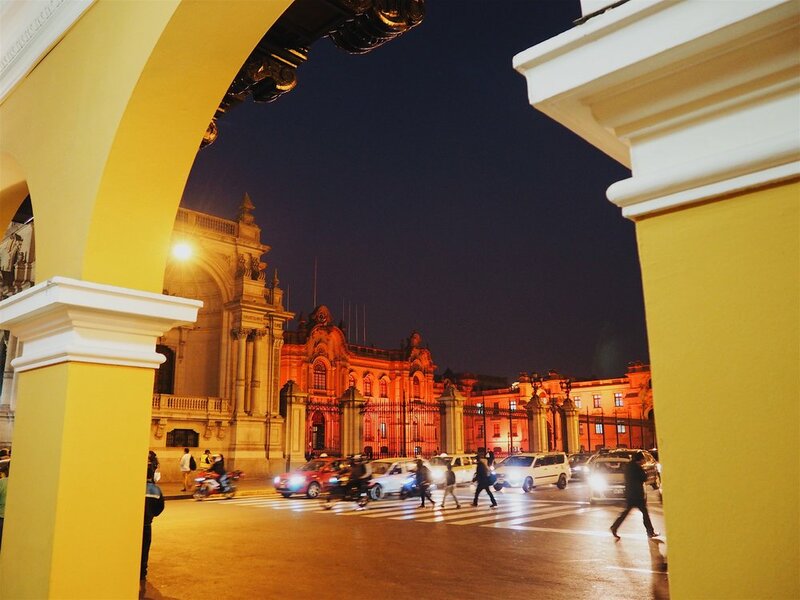 Explore the birthplace of Lima - Plaza Mayor, also known as Plaza de Armas of Lima. 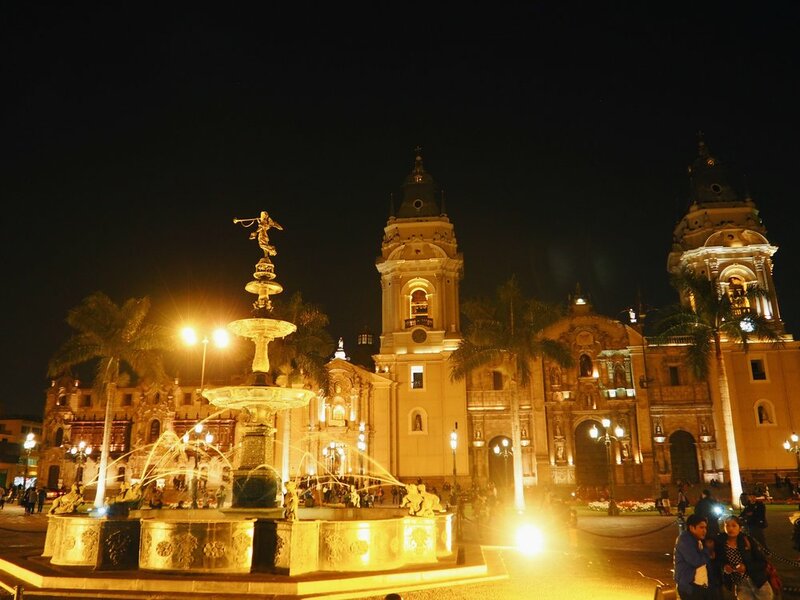 In this main square, you’ll find a fountain that is surrounded by picturesque colonial architecture buildings such as The Municipal Palace of Lima, the Presidential Palace (Palacio de Gobierno aka House of Pizarro) and the Basilica Cathedral. It’s a great spot to hang out, take photos and get a sense of the city’s history. You’ll also find countless armed security personnel that looks like they are ready for anything. Needless to say, you will feel very safe walking around this place. 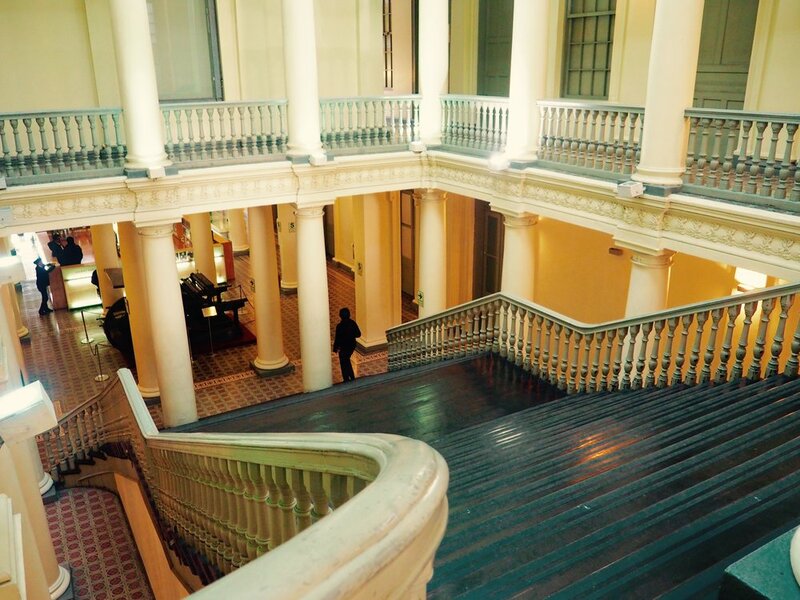 Get a glimpse of the Peruvian culture and its history in Casa De La Literatura. 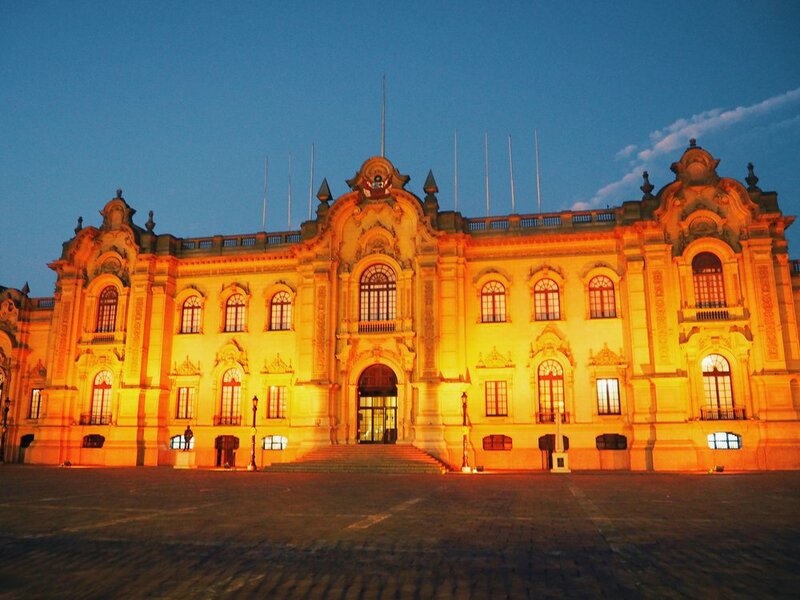 This place is a former train station and is located behind the Presidential Palace. Now, the building is filled with Peruvian books, artifacts, paintings, and sculptures. It’s a good spot to read a book and drink a hot cup of coffee. You can also watch the “Changing of the Guards” ceremony in front of Presidential Palace in Plaza Mayor. This is a formal ceremony that happens every day at noon, and sometimes in the presence of the President and the First Family. It features military bands and uniformed marchers. Quick tip: Try not to take photos through the gate. You’ll get whistled at and/or escorted out of the premises. I also suggest arriving early to get a good spot for the ceremony. Malećon is one of the most beautiful areas in Lima. This six-mile boardwalk offers a cliff-top walk, filled with parks, gardens and cafés. It’s also great place to go running, surfing and sight-seeing. In addition, there were many local surfers along beach, who offered surfing lessons. If you want to learn how to surf, this area is a great place to find a trainer. My boyfriend, Matt, and I weren’t equipped to go surfing, but nevertheless, we really enjoyed walking along the coast and watched other tourists surf. El Parque del Amor or the Park of Love is definitely worth a quick stop. 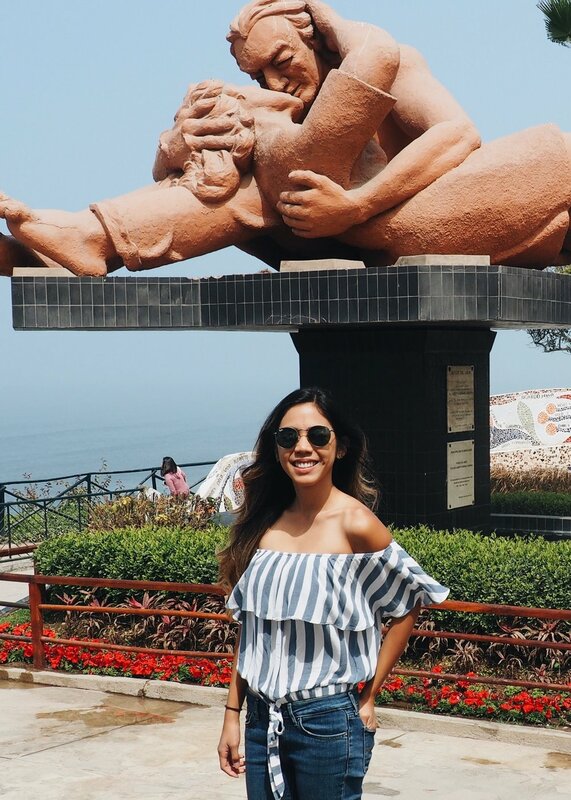 The park is located in the Malećon and is home to a magnificent artwork called, “El Beso,” which was sculpted by an internationally noted artist, Victor Delfin. El Beso is a statue of two lovers embracing and sharing a passionate kiss. It is surrounded by colorful walls of romantic quotes in mosaic tiles. The Park of Love is a must-see in the city. It is absolutely gorgeous and it has an outstanding view of the Pacific Ocean. 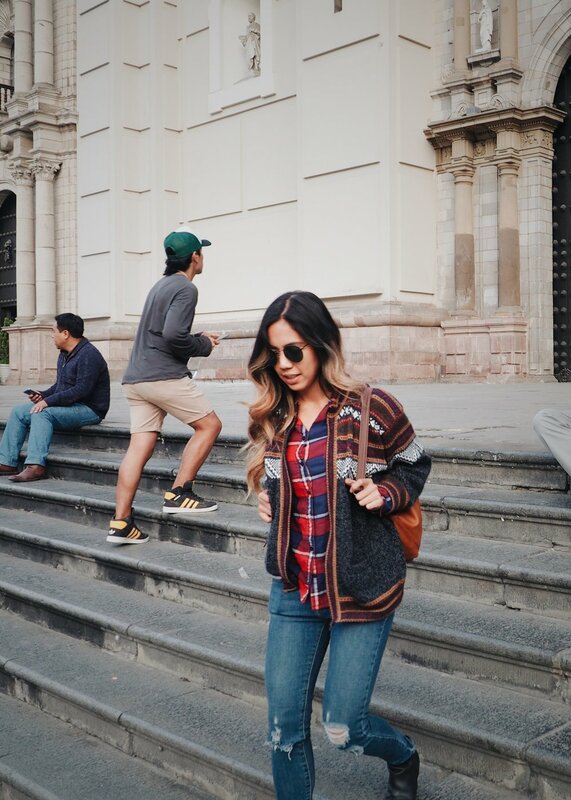 For more tips about traveling in Peru, read my latest travel guide 9 Things You’ll Wish You Knew Before Traveling to Peru. To find out what it is like to hike to Machu Picchu, check out Breathtaking Photos That Will Make You Want to Hike the Salkantay Trail to Machu Picchu.